Prepare and brew a warm pot of organic Sencha with spring water heated to 80 degrees. Allow cooling and add water seeped in cucumber and seaweed. Make ice cubes from this brewed tea. 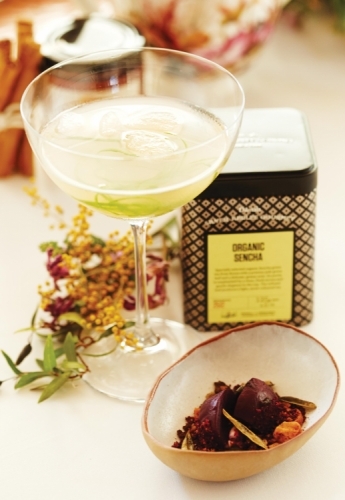 To finish, place the ice cubes in a large cocktail glass and pour over the cold infused Organic Sencha. Garnish with lime and cucumber. Serve chilled.